It came about after one of those ‘you know what, if we could get this sort of thing to work then it’d be really useful’ conversations with the editor – and whaddya know? It actually DOES work. Like a charm. 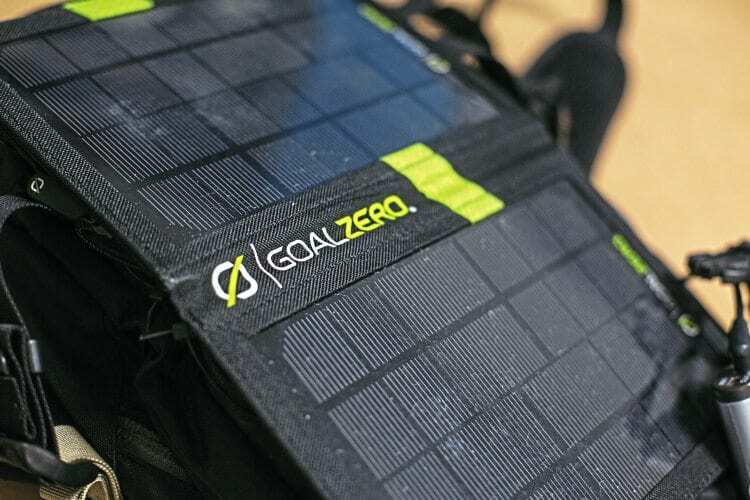 What I wanted to do was attach a solar panel to the back of my Kriega R20 so that I could charge my phone/Bluetooth device/ NUVIZ without having to be attached to a motorcycle. The plan was for this charging set-up to be independent and as mobile as possible as I was on and off various bikes throughout a trip. 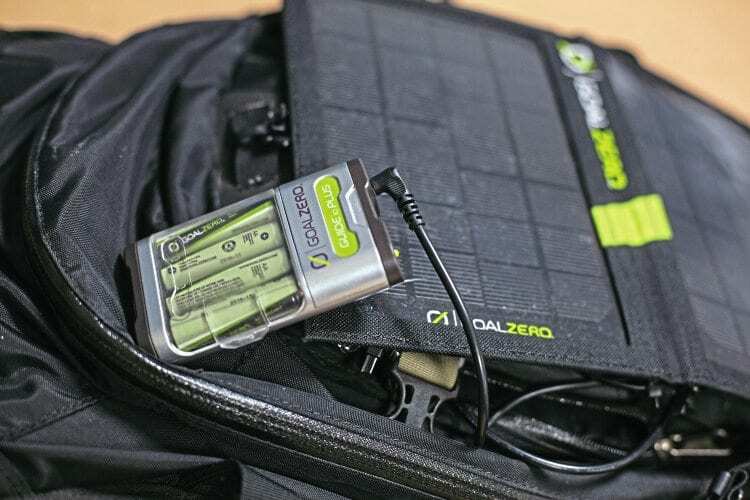 Twistmoto, long-time friend of M5L and supplier of truly great camping kit ideal for motorcyclists, suggested the Goal Zero Guide 10 Plus Solar Panel and Power Pack. Zip-ties kept the panel firmly attached to the Kriega bag. It’s sturdy, designed to take all weathers, you can charge directly into your phone, Bluetooth etc. from the panel easily and if you don’t want to do that then you can charge into the included battery pack for later use. Plus, there’s a host of strong loops built into the unit, which lets you attach it to the outside of a backpack. I used zip-ties to fix it in place. 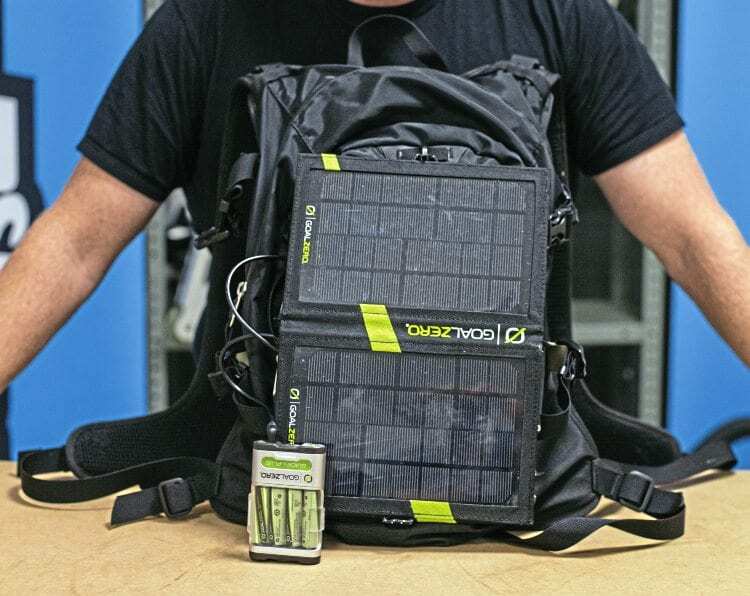 The battery pack is small and easy to hide, but holds plenty of charge. The charging cables were attached to the battery pack, which sat in the outside pocket of the Kriega. Two thousand miles later we’d know if the panels could get enough charge while I was riding to be able to fill up the power pack. Initially, the omens were good. 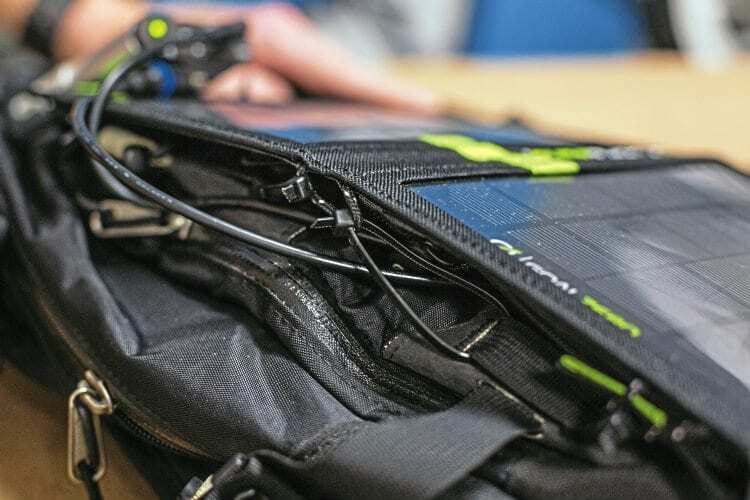 The fold-out solar panels are so efficient that they were charging the battery pack the moment they were opened – and that was inside under office lights. Out in the sun the charge was maintained even without ‘direct’ sunlight hitting the panels. The whole unit weighs next to nothing, making it dead handy for touring. The whole unit weighs next to nothing, I certainly couldn’t feel any difference in the weight of the Kriega on my back after fitting the panels, and in fact the whole thing looks almost as if it was an original part of the backpack’s design. The battery pack holds plenty of charge and it was easy for me to charge both the Bluetooth unit plus my Samsung phone overnight. A variety of power outputs including USB and small and larger power jacks mean that you can charge virtually anything very easily. 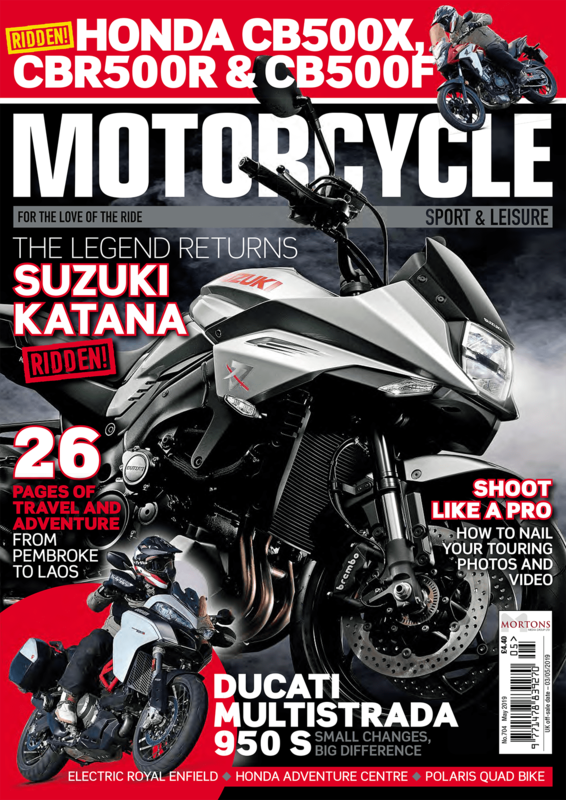 So this unit is motorcycle-tough, weatherproof and ridiculously easy to set up and use. It charges in much darker/overcast days than I thought would be possible and it’s freed me up from relying on a motorcycle’s power output to charge my electronic gizmos. Job done.